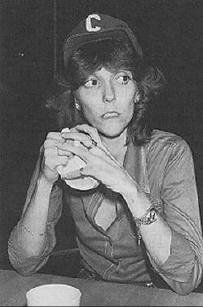 I fell in love with Karen Carpenter before I knew anything about her. My mother used to play The Carpenters on the radio often and her voice was intoxicating, everything from “Close to You” to their Christmas songs always remaining on my mind. They—along with folks like ABBA, Bee Gees, Billy Joel, Carole King, Chicago, Donna Summer, Earth Wind & Fire, Elton John, Joni Mitchell, and Simon & Garfunkel, among many others—became the ground upon which my love for a certain era of music was built; a little bit of disco, some moody singing over a piano or a guitar, a couple of trumpets or saxophones blowing, and a whole lot of longing. And what do queer men know how to do better than to long for something? We cruise the same faces in boxes for hours on end, we wonder if the only reason we aren’t with someone is because this specific city is out of this specific type of person we’re interested in, we wish we didn’t have to hear about our friend talk about their partner all day. We hope that the next date will go well, or the next, or the one after that, or the one in a few weeks that we’ll go on after saying we don’t want to date anymore and are going to focus on ourselves. Their histories become our own histories, stretching any minor connection into something meaningful. Occasionally, the overlap of these histories results in something unique; Terence Davies’ Emily Dickinson biopic A Quiet Passion, for instance, is an example of how the lives of these two queer artists, one a living man and the other a dead woman, intersect. Davies himself has explained how much he identified with Dickinson and a number of factors in her life (illness, religion, family, and fame, or the lack thereof), resulting in a film that exists somewhere between witty and devastating (not unlike the writing of the woman herself). A still from RuPaul's Drag Race All Stars “RuPaul's Best Judy's Race” (season 4, episode 8). Other times, queer men sort of haphazardly reference these dead women, iconizing them at their prime. It’s why Judy Garland’s name can be tossed around ad nauseam, exploited every which way (including but not limited to a RuPaul’s Drag Race challenge) while only tangentially engaging with her tragic life. A brief mention of her addictions and the way she was mistreated, sure, but it’s easier to passively mourn and praise the good in an artist rather than get down to the dirty truth of it all. With Superstar: The Karen Carpenter Story—a film only available by illegal means due to a lawsuit by Richard Carpenter—Todd Haynes created a nuanced portrait, unabashedly willing to engage with every aspect of its protagonist’s life. 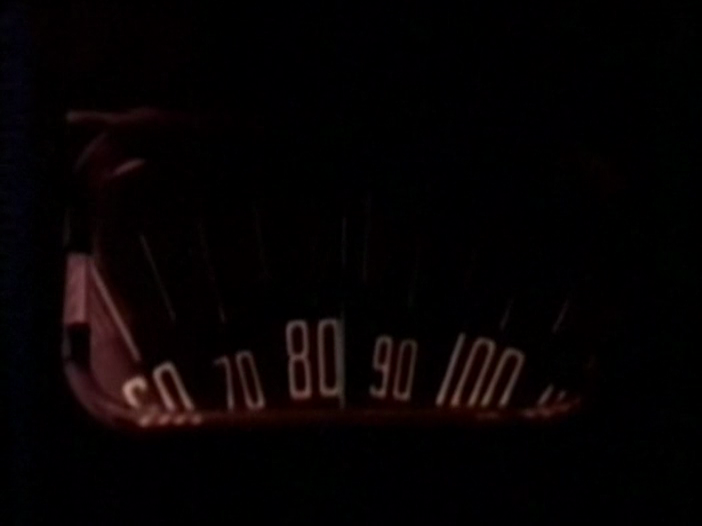 At a tight forty-three minutes, Haynes and co-writer/producer Cynthia Schneider used Barbie dolls as actors to depict the life of Karen Carpenter, singer and drummer for the Carpenters duo, and her struggle with anorexia nervosa. Catherine Breillat’s A Real Young Girl (1976). What Haynes does is create an image of a woman with which he can explore his own interests: creating atypical narrative presentations, navigating pop culture and its influence on the lives of set individuals, and how malleable identity is, changing and shifting from the womb to the grave. These are all themes he would go on to explore throughout his career, but it’s alarming how prevalent these ideas are in what amounts to a short feature, likely the strongest glimpse into a filmmaker’s future since Catherine Breillat’s A Real Young Girl, another capsule of fleshed out themes that make for the perfect lead into a stunning career. Karen Carpenter existed to the public as an idea and Haynes makes this clear early, giving a glimpse of this “smooth voiced girl from Downey, California” who would eventually lead “a raucous nation into the 70s.” The viewer, much like an unsuspecting audience in the 1970s and 80s, was on the outside looking in. Karen’s own family was never truly present for her pain, always kept at a distance because they never knew how to help her with her journey, often leaning into force over-familiarizing themselves with the issue. Haynes allows the viewer a way in, a version of her life that forces us to come to terms with what happened to her. Superstar navigates the highs and lows of Karen Carpenter’s struggle with identity through the very music she created alongside her brother. “We’ve Only Just Begun” offers a world of possibility, with Haynes creating a stage show out of endless black scenery and Christmas lights that become a stage of their very own. “(They Long to Be) Close To You” looks further into her success, from a recording studio where she alone exists to topping the charts and performing with a real backdrop tailored to the band. Where those songs seem comforting and wholesome, just as the image the Carpenters presented to a world desperately in need of warmth, Haynes flips the script with “Top of the World”. The song forces the viewer to witness her steady decline in weight and health contrasted by her rise to stardom, a deep irony and heartache present in lyrics about finding happiness paired with nothing but salads and Ex-Lax. If it sounds camp, it’s because it is; there’s a theatricality present in everything from the Barbie dolls and the musical storytelling to the interviews about Carpenter and historical contextualization peppered throughout. It’s not uncommon for queer individuals to see themselves through this same lens, conditioned by the words of others into believing that the self they struggle with is nothing but a curse. Where some queer men grow to realize that their queerness is not an illness, but rather a facet of their personality, some remain trapped within the mindset that was bestowed upon them by society. Karen’s fear of her body, of her desire for a perfection she’ll never attain, led to her being unable to escape her illness. As characters tell her, and as she says herself with empty promise, recovery isn’t easy. It takes years and learning how to live with it. Unlearning what has been forced upon you isn’t easy. Self-loathing sticks. For a long time, I myself struggled with my identity, with feeling deeply uncomfortable in my body, with an eating disorder. This was present in my life before I knew much of anything about Karen Carpenter outside of her and her brothers’ music and it remains present now. Even admitting I have an eating disorder makes me uncomfortable, knowing full well that there are days when I binge and purge almost naturally, as Haynes’ Karen seems to do once it becomes integrated into her life, an odd and toxic routine. My bulimia, much like Karen’s anorexia, paired beautifully with my questions of identity and the pressures that face many a young adult growing up in a world full of external pressures, from the families who tell us we’re too thin or too fat to the toxic relationships we choose for ourselves, much like much like Carpenter’s ill-fated relationship with Thomas James Burris. Though the film says, “It is unclear whether it was Karen’s struggle with anorexia or other factors that caused the marriage to sour,” I can say from experience it was likely a mixture of both. A denial of the self, an indulgence in toxic behaviors, creates an environment in which nothing can comfortably grow. Karen never intended to die because of her illness, or at least I can’t imagine she did. Just as Todd Haynes has imagined a version of Karen, based on the reality of what he read and saw of this fascinating woman, I myself imagine a version of Karen. I see myself in that Karen, that girl who was so terrified of being called fat, of being considered unattractive, of not being able to maintain a certain image, of carrying standards for myself that nobody else actually expected me to carry. Some of these insecurities have persisted for me, and others have fallen away over the years as I’ve come out as queer or come out as fat, both different versions of a similar experience. It’s hard not to dream of a world where Karen Carpenter had gotten the help she needed, had learned to love her body even if she continued to struggle. It’s hard not to wish this because she isn’t the first, or the last, woman I’ve identified with, nor the only woman whose struggle with weight and body image has severely affected her life and eventually led to death (take Cass Elliot of the Mamas and the Papas, whose untimely passing is often reduced to a joke about her choking on a ham sandwich, a rumor proven false that stuck nonetheless). But after all the tragedy has passed, after death has come and gone, what’s left? Karen wasn’t a martyr by any traditional definition of the word, and Haynes’ Superstar doesn’t make her a figure to exclusively mourn. There’s a self-awareness and playfulness to how Haynes has molded her story—iconizing her by using the very dolls that force a specific body image onto young woman—but he, and we as viewers, never lose sight of the fact that this is all about Karen. It’s about every facet of who she was, rather than just another face in a crowd of iconic women. A lesser biopic would have kept us on the outside looking in, and there’s no shortage of films about real women that reduce them to their successes and sufferings in a maudlin fashion. These films rely on the audience’s connection with an actress, who becomes nothing more than a crying face alongside a sweeping score, to feel something. Haynes strips that away, refusing to make her a pitiable figure, incorporating her music into the very fabric of her life, showing how the beauty of Karen’s music was locked in step with the pain of Karen’s illness. No one is looking in on Karen’s life through an external gaze, like Simon Curtis did with My Week With Marilyn, using Colin Clark as a focal point for lazy musings on Marilyn Monroe’s ennui on the set of The Prince and the Showgirl. Even when Haynes experiments with narrative asides—interviews with Todd Donovan and Michelle Hoyt, footage of Nixon and Reagan, and plenty of text about anorexia nervosa and the psychology of it—they only serve to contextualize what Karen is going through, and expand her mindset to that of the American mindset of the 1960s, 70s, and 80s. Like Douglas Sirk and Rainer Werner Fassbinder and others before him whose influences he’s drawn, Haynes thrives on intimacy, on understanding the characters at the core of his work, allowing them to be seen as they are, or as they wish to be seen. If queer men are prone to iconizing while ignoring tragedy, Superstar is unique in that it humanizes the icon, emphasizing that her stardom and her tragedy are both results of who she was as a person. It’s not lazy recreations of popular moments, like Bryan Singer’s Bohemian Rhapsody, but a genuine introspection of what it means to tell the story of someone you admire. It’s present in the way he animates life, a queering of reality that most queer men never think about attempting because it involves creating something more personal, more emotionally honest, than what we’re used to. Tragedy isn’t just tragedy; it’s deconstructed and contextualized, forcing an audience that expects spectacle to bear witness to Karen’s suffering. Haynes an active participant in molding her story, refusing to let queer men have the easy, breezy depiction they dream of latching onto. There’s nothing superficial about Karen Carpenter here, not even the body she’s been given on screen by Haynes, acting as caretaker and sociologist disguised as filmmaker. A Barbie doll isn’t just a doll, but a way to declare that Karen herself—as a human being and not a Christ-like figure—was herself a gold standard. It allows her to be what she dreamed of being, or at least what Haynes thinks she fantasized about being, without ever bluntly stating it. He isn’t simply dramatizing her life, but rather morbidly, and fascinatingly, giving her what she always wanted: the perfect figure. For everything she gave him, for everything she meant to him, he can at least give her that. In its closing moments, Superstar: The Karen Carpenter plays that hit song, “(They Long to Be) Close to You”, once again. It’s layered over images of Southern California, of women on the street, of boys playing in a backyard, of suburban houses likely full of families just like Karen’s, just like Todd’s, and just like mine. Karen Carpenter’s music remains present after her death, an inspiration and a haven for those who seek it, a reflection of experiences in our own lives transformed into easy listening. Just like me, they long to be, close to her. Juan Barquin is a writer from Miami who programs the queer film series Flaming Classics (@flamingclassics) and serves as co-editor of Dim the House Lights (@dthlofficial). He aspires to be Bridget Jones.